On Saturday 13th June I attended my first ever blogging conference. After taking a month off blogging, having a holiday abroad and sitting down at my desk on rainy Sunday I can at last tell you about the experience. It is one that I will never ever forget and I very much hope to repeat next year too. The joy and emotions I felt during the day were off the scale and I felt that I had found a community I really click with and who just get it. I'm sure that for those bloggers reading this you will know what I mean as blogging can be quite a solitary activity, so meeting people face to face who are fellow bloggers and are as passionate about it as you is something really special. 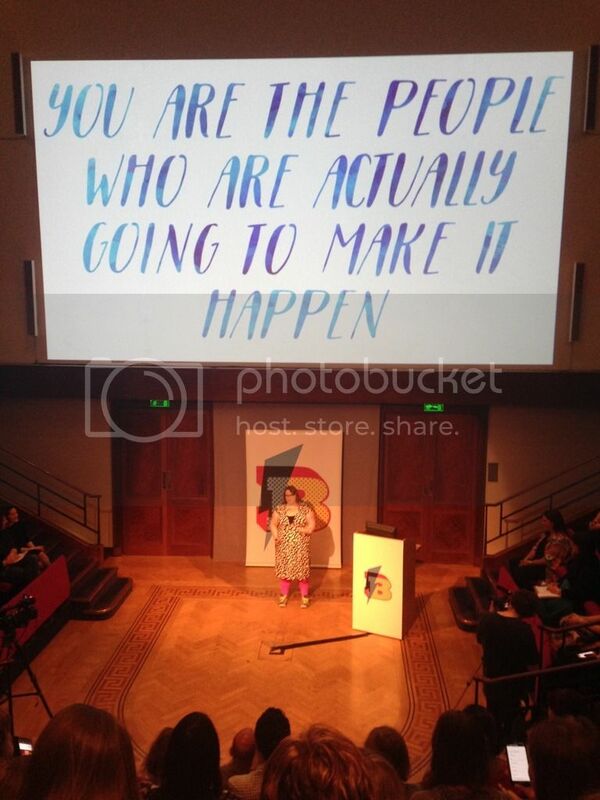 Blogtacular 2015 had a the perfect combination of inspiring speakers, enthusiastic bloggers all held at the stunning Royal Institution. Blogtacular as I mentioned in my last post is "a place for bloggers whose hearts beat with creativity to come together to meet, share and inspire" and it didn't disappoint. Meeting enthusiastic bloggers has enabled me to reframe what I do, feel more connected with my blog, and appreciate again the hard work that goes into creating content and blogging. Stepping away shattered after the day, I felt full of hope and brimming with ideas. I felt a huge wave of raw energy, from meeting enthusiastic people and hearing about how they spend their time and how they build blogging into their week. I've been pondering the key things that I've taken away from Blogtacular and trying to digest everything. All the sessions I attended left me feeling really inspired, informed and feeling that plans are achievable. Emotionally I felt a real mix. Since the conference I have been feeling excited and enthused by all that was said, from the continual theme discussed of collaboration, to dealing with fear, through to creativity and finding inspiration. However over the past month I've felt the need to pause and take a step away from my blog, take a deep breath, and look at what I do and how I've been feeling about my blog. I've needed the head space to just sit and think about many things, as well as blogging. I hate having gaps on my blog but when you just freeze when you sit at your laptop it's a moment when you need time off and to work things out. I wanted to let you know all about the conference and what was said, however for me the best way to sum it up is by telling you about my biggest takeaways from the day and what they have helped me to develop. Before I headed to the conference I was pretty nervous as well as excited. I look back at the nervous me and see how much courage it took to dive in and just start talking. I'm a chatty person normally but sometimes get stuck for words in the most unlikely situations. When I arrived at Blogtacular I made a bee line for a table on the edge of the room and I just went for it. Taking a trusty comforting cup of tea I spoke to people who were feeling like me and gradually with more courage I got stuck in and gained confidence to just talk. On my journey to the conference on the Friday I wrote down my feelings and what I had hoped to get out of the day. I know that I've walked away with most of these ticked off. Since the conference (and before) I've had feelings of overwhelm as I'm feeling a little unsure about next steps with my blog. I've felt a little unsure about what to write, despite having a big list of post ideas it is all a bit too much. I've felt overwhelm of the industry I am part of. I feel a tiny fish in a sea of bloggers, but deep down that overwhelm is calmed by thinking of the key people I met, and how I really believe being authentic and doing what I want is just how it will go for me. I don't have to implement all the ideas just what fits with what I'm doing. By taking a break away I've simplified my plans and thoughts and dealt with the initial overwhelm. I attended a DIY blog design session and discovered a few things that started to slot in place, determined I spent a Sunday afternoon after the conference updating my blog design, switching on the mobile view, and trying to get my blog a little closer to something that represents me. It's simple, fresh and still has some of my favourite colours as touches. 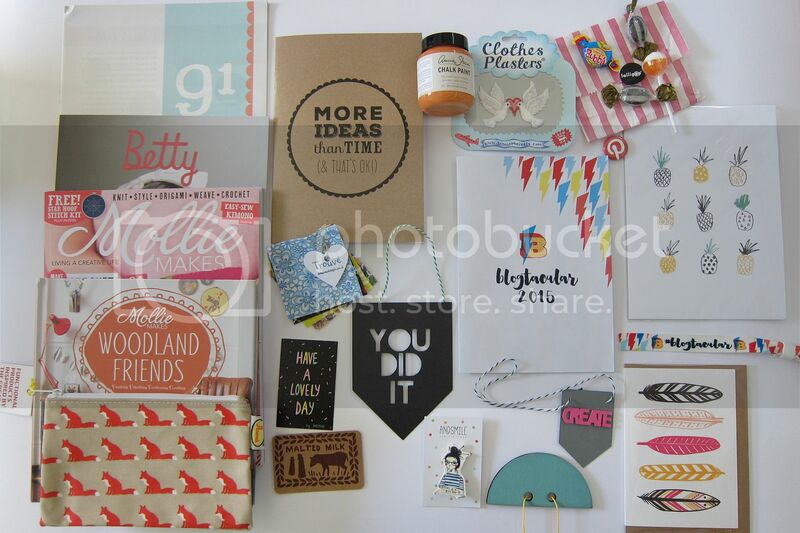 Without Blogtacular I wouldn't have had the confidence or practical skills to even try this. I can't tell you how many wonderful bloggers I met on the day. Over the next few weeks I'll be continuing to take time connecting up with everyone I met, by reading their blogs, adding them to my social media connections and Bloglovin feed. 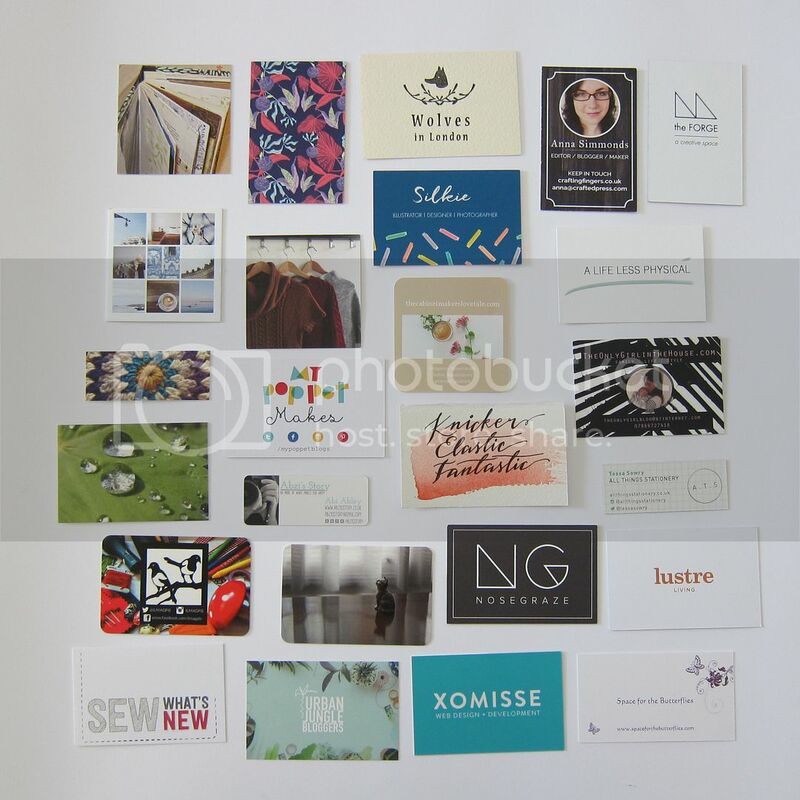 I'm thinking about doing something creative with the business cards I collected, I want to remember the day through the talks but also the very inspiring people that I met. Meeting such an array of talent, enthusiasm, people keen to share their knowledge and awesome advice, swept me away and left me feeling really lucky to have been part of the day. I met only a fraction of the people there and those that I met were so very down to earth and authentic. I also discovered many bloggers who live near by too. I felt energised by all the insights I gained and all the lovely people I met. Meeting fellow bloggers face to face was one of my most favourite parts of the day. For a few minutes you get to meet the person behind the blog, for a few bloggers I think I gushed a little too much about how much I love their blog, but hopefully this has given them a little bounce in their step knowing how much people love their little space on the web. I'm a big believer of the 'does it feel right' decision making process. I felt a huge gut reaction that I needed to attend the conference and that turned out well, I experienced and learnt more than I could ever have imagined. With the choice of speakers during the day and the busy schedule you have to select which sessions to attend out of three choices. At each point of the day I went with my gut, knowing what I most wanted to find out and how that fits with me at this phase of my blogging journey. The choices I made based on my gut reaction panned out so very well in many ways. I have learnt to begin to truly trust my gut feeling once again. Over the past few weeks I have had a few things going on where I have just needed to trust a feeling to help me make quite a few big decisions. I've finally decided that some of my plans that I had so very much wanted to action, and what I feel I should be doing, but just don't fit with me and my life any longer. It can be a hard pill to swallow and process. Going with my gut has made me feel good about the choices I've made as it has freed up head space, time, and has opened me up to looking for something new and a different route. I was most inspired by the engaging and deeply authentic Marta Marie Forsberg who talked about Creativity and Inspiration. Her story, her determination and her recent discovery of what she wanted to do made me feel very emotional listening to her story. I've only realised over the past year and a bit what I would really love to do (see my About me page) and hearing about what she has done has made me that more determined to take the next steps forward. I felt inspired by the women I met during the event, so many different blogs each with their own real enthusiasm for what they create and write. Finding new British bloggers has opened my eyes to a whole new world of content and styles. The day ended with an incredibly moving talk by Anthony Peters who talked about his story and about going against the grain. He is the creator of a documentary about creativity in the digital age called Made You Look. As a closing keynote speech it was just perfect and linked the handmade and digital space that many bloggers are part of and was very inspirational. My memories of the day and the experiences I had still make me feel giddy and a little emotional when I think about them. I can't tell you how much I found out about myself, let alone about the world of blogging. Heading away at the end of the day we were greeted with a generous goody bag encapsulated in a pretty tote. The generosity of this event was huge, from the knowledge sharing of everyone attending to the time Kat and Kat must put into making it so inspiring and finding great speakers. My Blogtacular tote is hanging on my shelving in front of my desk so that each time I sit there and see it I'll remember the learning, feelings and experiences of the day. 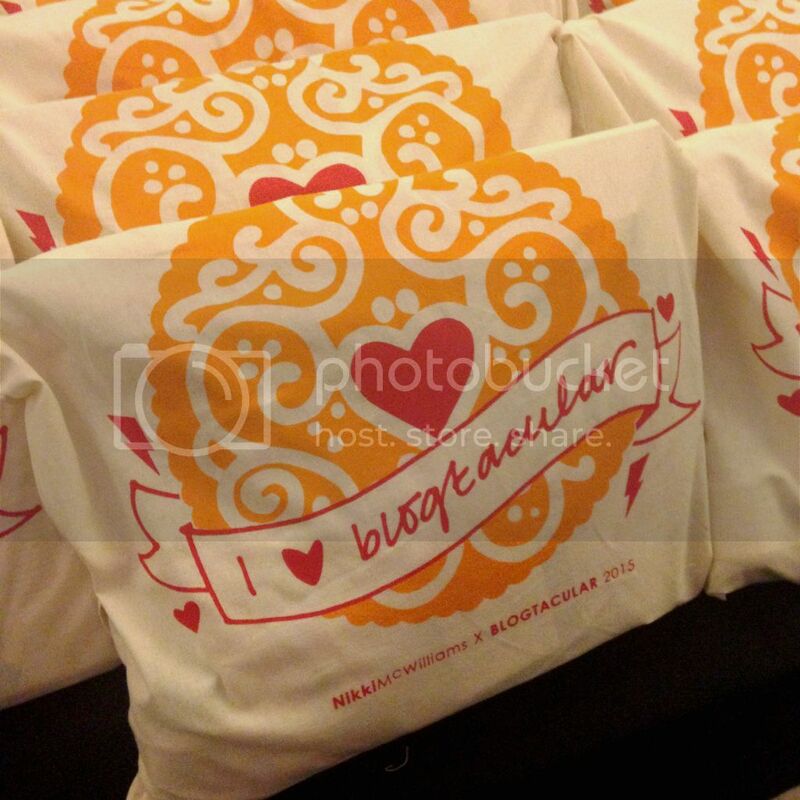 I heart Blogtacular and will definitely be going again next year. If you want to join the virtual conference and see each of the talks that were filmed, head over to Blogtacular to buy a virtual ticket for the conference this year, it will be worth it! I've bought mine and can't wait to be inspired once again.